1950's. 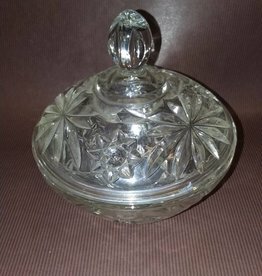 Pressed glass covered candy dish. 2 pieces. Very nice condition, no chips or cracks. 5.25 tall. m.1900's. 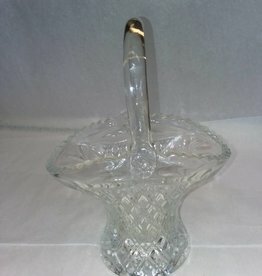 Clear glass ice cream sundae dish. 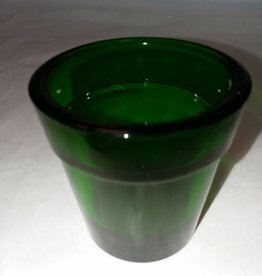 Large size, 6.7/8" tall. Very nice condition. Priced individually. m.1900's. 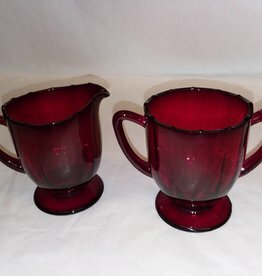 Ruby red Creamer/Sugar set. Deep ruby color. Nice condition. 2 pieces. 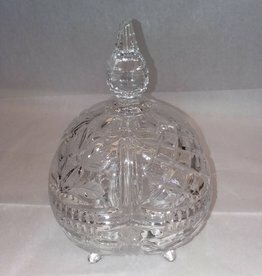 c.1930, Large, heavy glass basket vase. 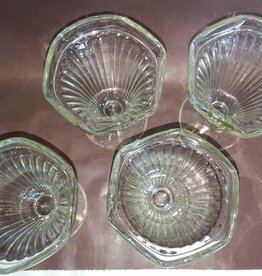 pressed glass in very good condition. Diamond & sunshine pattern. 7.5x5.5x10.5"
m.1900's. 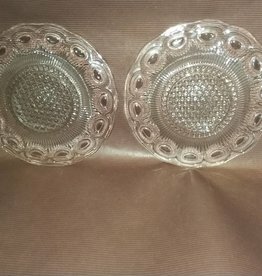 Clear pressed glass ice cream sundae dish. Pedestal style. 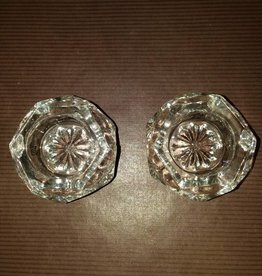 Smaller size, 5 1/8" tall. Very good condition. Priced to sell individually. 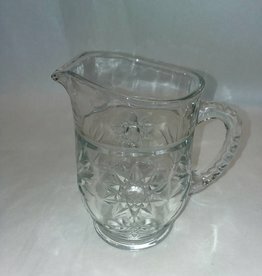 c.1940, Clear pressed glass milk pitcher. 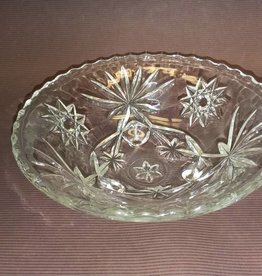 Anchor Hocking Starburst Pattern, Small "fleabite" at end of spout. 5.75"
E.1900's. 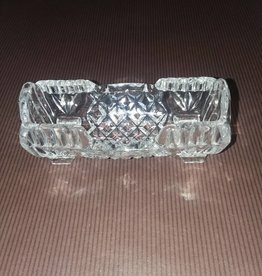 Cut glass toothpick holder. Shaped like a cradle. 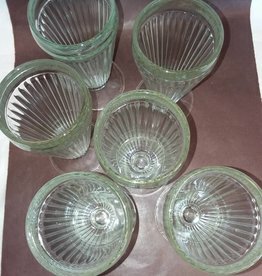 Early American Pressed Glass. Footed. Excellent condition. No chips. 3.75"